Last week we were meant to go to Legoland for the day. It had been pencilled in a few weeks previously as it was one of our rare family days where Hubby and I were both working. Unfortunately, when we arrived at Legoland we found that it was closed and the week before they had decided to not open on Tuesday and Wednesdays for the rest of the season. 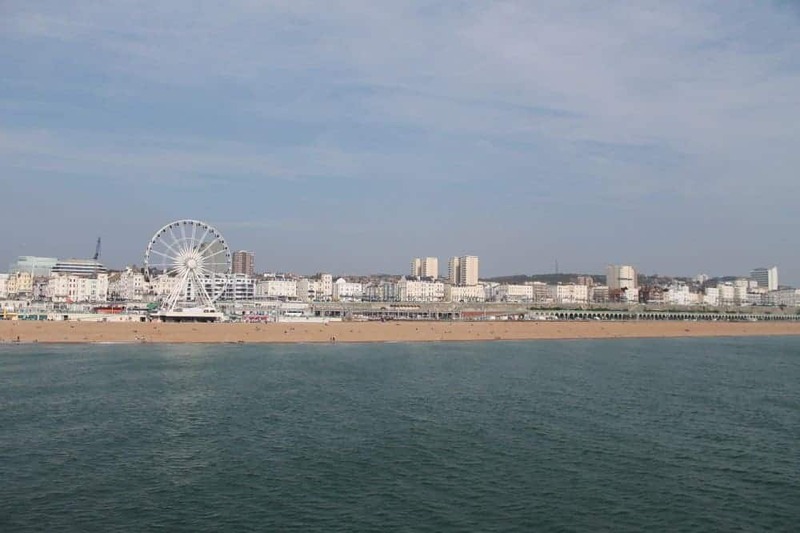 Being out of the house and wanting a day out, plus not wanting to disappoint LP, we made an on the spot decision to drive to Brighton – we’d planned to go there in a few weeks anyway but thought we’d be able to get there in time for lunch and spend the afternoon there. So we drove to Brighton and got there at 1pm. 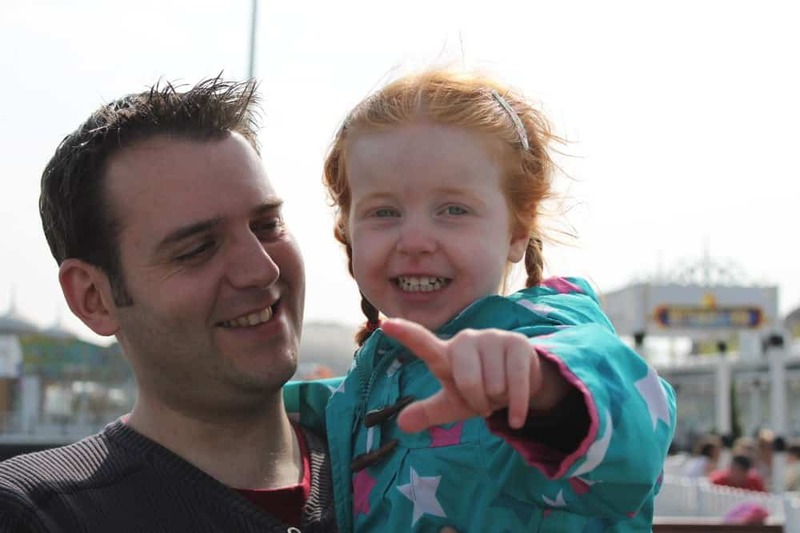 We parked on the seafront, wandered down to the pier and went at LP’s pace to the end of the pier, looking at the sea, the ‘Ferris Wheel’, telescopes and anything else that caught her eye. We got to the end of the pier and had noodles and chips for lunch. After lunch we had to spend some time on our favourite pastime, 2p machines. We were too busy to take photos but we all loved feeding the 2ps into the machines trying to win plastic tat. 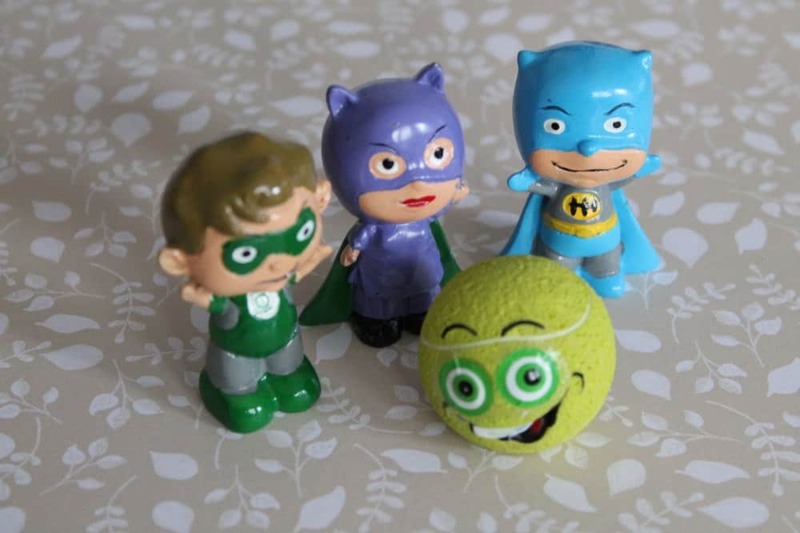 In the end we spent about £5 but we were occupied for a good hour and managed to win LP three little superheroes and a character tennis ball! She had pockets bulging with plastic and was happier than a really happy thing! 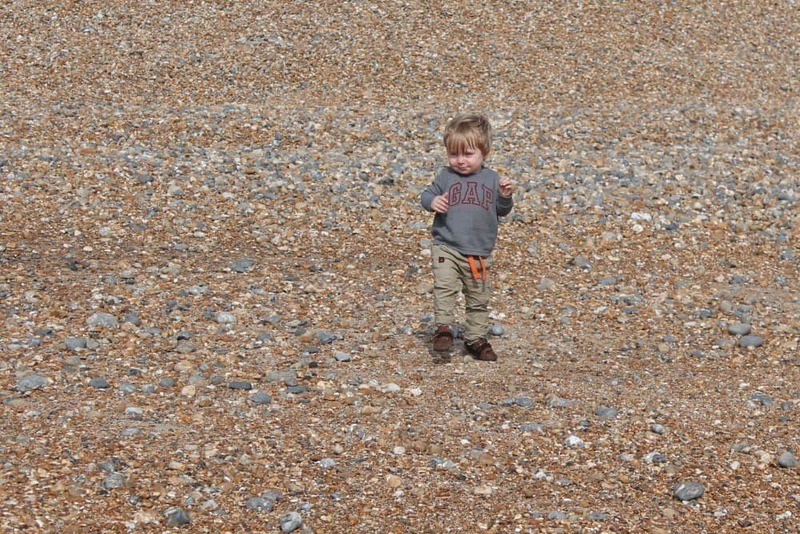 After lots of playing we went down onto the beach. 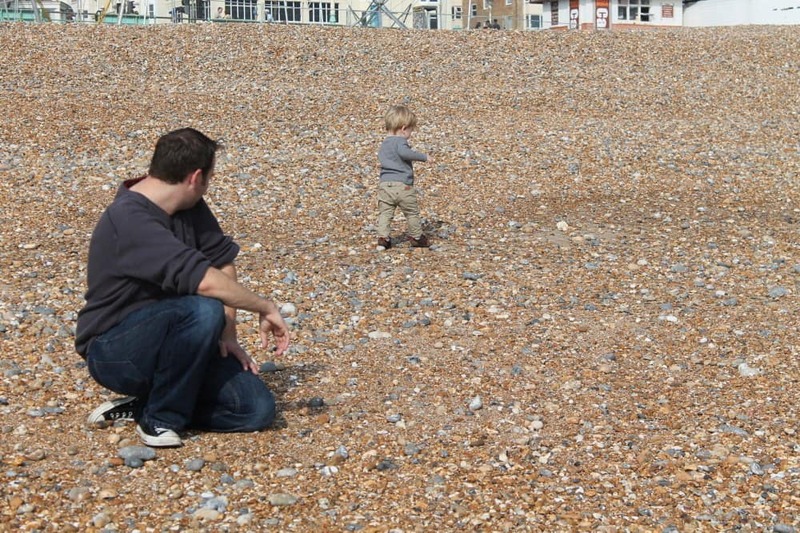 I haven’t actually set foot on Brighton beach since my own childhood although we go to Brighton every year. 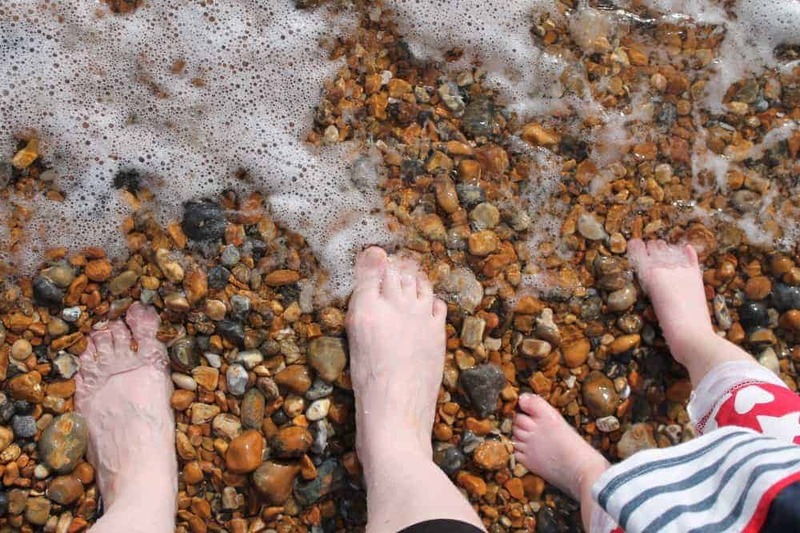 We’d taken towels with us and planned to paddle in the sea so LP and I took our shoes and socks off, rolled up our leggings and walked down to the water’s edge. I’d forgotten how sharp the stones were, how you had to take little steps to stop them digging into your feet and how cold the sea was. LP loved it. She stood holding my hand and every so often putting her hands over her mouth in a ‘scary sea’ pose. She’d shriek when the water went over her toes and would laugh as the waves went back out. LP hasn’t paddled before but it’s something we’ll be doing again – and Little Man can join in next year too! After our paddling session it was time to go home. We wandered back down the seafront to the car, changed LP’s soaked clothes and got comfy in the car. Both babies fell asleep on the way home and slept well that night. Oh we do love a day beside the sea! Sounds like a lovely day to me 🙂 I love the beach! 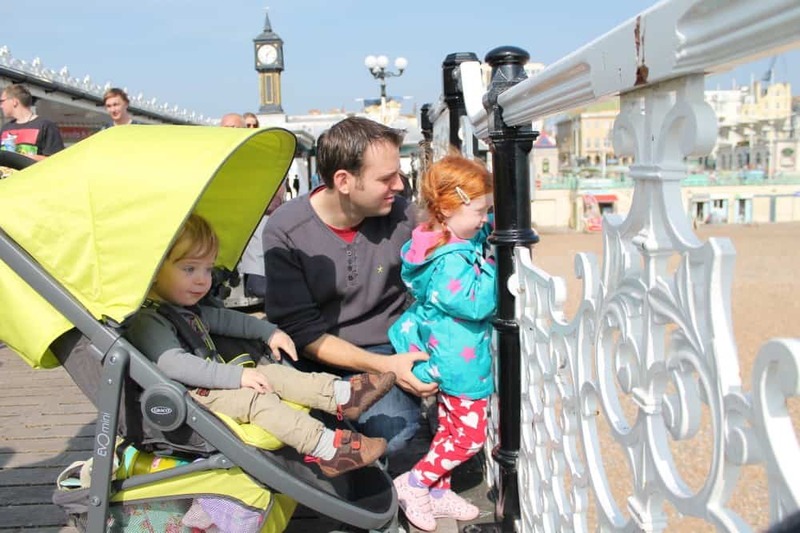 I know Legoland would have been fun but it looks like you had the most amazing afternoon at Brighton and just look at LP’s smiles!! 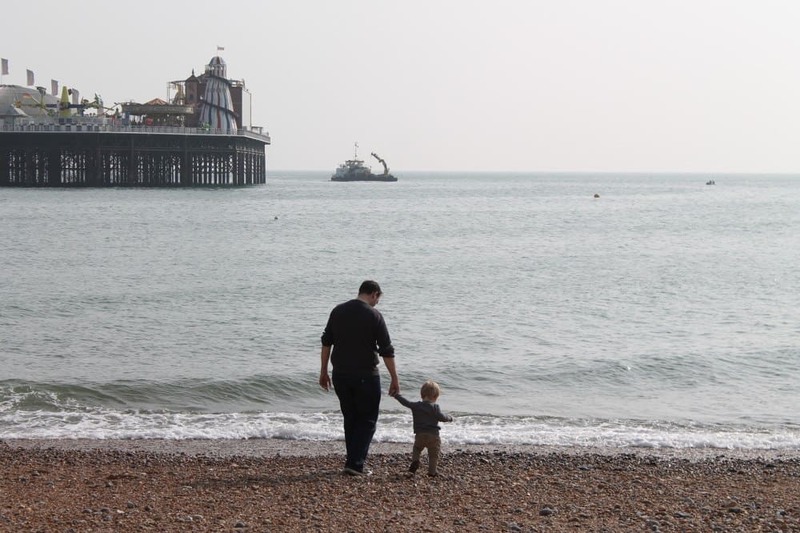 I’ve never been to Brighton, all my coast is further west, but any sort of seaside is always going to win for me – and you even found the sunshine too! What a lovely day! 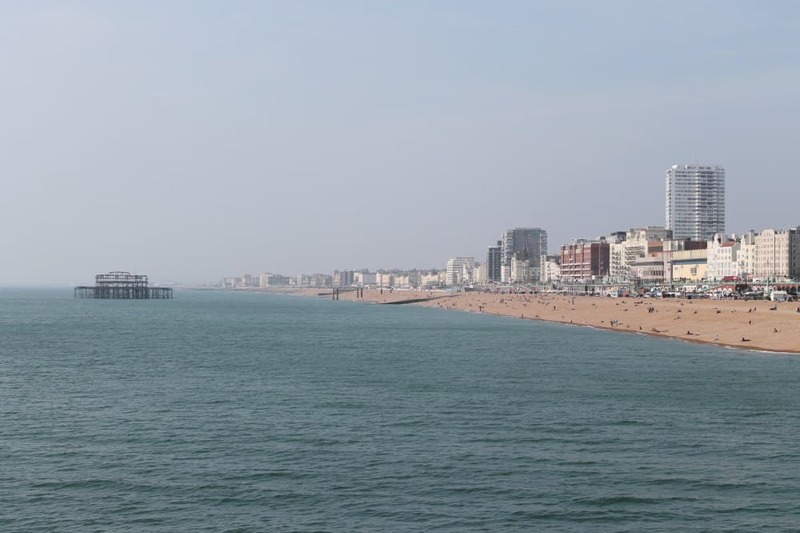 I’ve never been to Brighton – maybe that’s one that needs to go on my bucket list!